Night diving. It’s a favorite past time in the islands for a lot of locals, whether it be spearfishing for fish near reefs at or searching for he’e (octopus), there’s a thrill of being in the ocean during darkness and not knowing what’s out there. We’re surrounded by water, so why not take advantage of being in the water during the night? This leads us to our next project properly dubbed “Poke Squid.” (Us locals know there’s a double meaning to the term, but we’ll leave that for another time). escorted by a group of young ladies who join him in unison as they walk towards the entrance of the infamous bar lounge. Instead of stopping inside and greeting the audience though, he proceeds left and makes a hasty stroll straight to the mainstage, entourage full of women still behind him. The main stage lighting is adjusted and shines on “him” and everyone in attendance, although still in awe, gets out of their chairs and gives a standing ovation to the Maestro who made Hawaii his home for a few years, the legendary Elvis. Hopefully as you read the above “fictional short story” you can picture the environment, the whole aura and essence of living the good life in the era of lounge singers and Tiny Bubbles, when Rock N’ Roll was at it’s beginnings and Duke Kahanamoku ruled the strip of surf breaks lining the Waikiki landscape. This all leads up to our “Hano Hano” (translation: glorious, honored, magnificent) pack which we are releasing October 25 (Saturday), now on to the details. Starting with the shirt, printed on all white this features a photo of Elvis surrounded by a group of local girls as he serenades them, and the words “I Love Girls, Girls, Girls, Girls” which is both the title of one of his many popular films as well as a homage to the Jay-Z track of the same name. On to the hat, it’s another Pride hat, this cap uses the “dobby stripe” technique which is normally reserved for luxury bed and sheet sets. 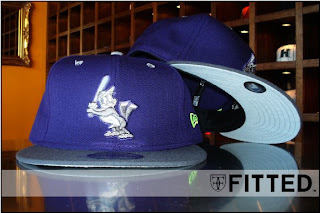 On to the details: all black nylon dobby striped hat with purple eyelets and underbill. 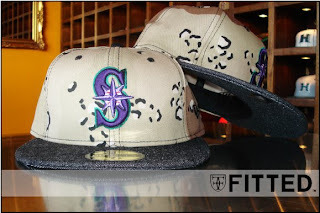 The top side of the brim has gold stitching with a gold “H” and purple stroke. The inside includes a satin lining with our old Hawaiian state seal printed on it. 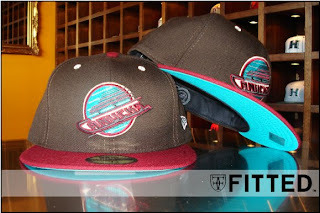 Another crazy FITTED production! This is First come first serve release. Phone orders will be taken after 12pm. 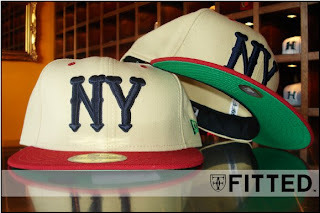 Plus these will be available in very Limited numbers at these select boutiques. 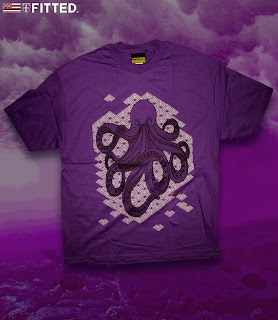 Very limited, in the store today. Brown & Gold, Red, Black & green and Maroon & grey.. The “tiki culture” has gone on a mainstream path since as early as World War II, visible to the common person in any given Polynesian themed bars or lounges from as far away as Hollywood. The culture made an even harder impact after Hawaii became the 50th state, seeing even more Polynesian / South Pacific themed lounges and bars across the continental United States. But the real story behind tikis (known as ki’i in Hawaiian) got its start in the Pacific, Polynesia to be more specific. These carved statues were used as markings to warn people of sacred (kapu) areas. This Tuesday (October 15th, Tomorrow). 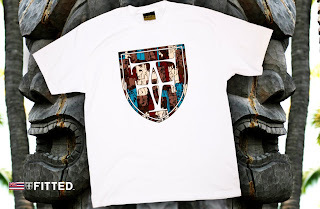 The shirt is printed on all white with the FITTED crest on the front containing a bunch of abstract tikis scattered throughout the design using brown, red, teal and tan colors. 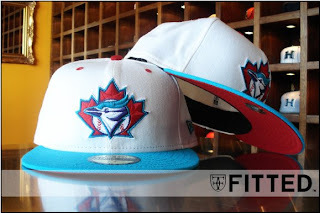 On the back rests a FITTED crown using teal, white and red. This forthcoming Saturday 10.11.08 we are releasing another special project which pays homage to both the late, great Andy Warhol whom played a major role in a movement which became known as pop art, and “palaka fabric” and it’s association with the plantation field days. Warhol’s most famous artwork usually showed up in the form of illustrations known as monoprints, or “blotted ink” drawings. One of his more popular prints is an painting of a banana which is so simplistic, yet can still be seen with a hefty price tag attached to it. On the palaka (translation: plaid) side of things: the standard was checkered blue and white denim which was worn as a work shirt in the late 19th and early 20th centuries for the plantation field workers. The workers needed something that was rugged enough for hard labor. Eventually palaka was introduced into the mainstream world, where board shorts were made out of the fabric, and even Hawaiian shirts. 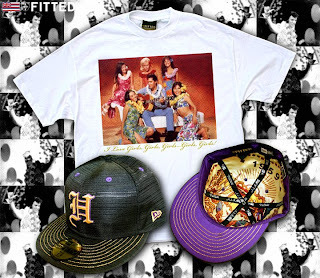 This leads us to our “Pineapple Aloha” pack with our own Hawaiian twist to Andy Warhol’s vision. Setting things off with the hat, which is another collaboration between FITTED and Estate LA, we revisit our ever popular “Aloha” hat with summer vibes surrounding it this time around. 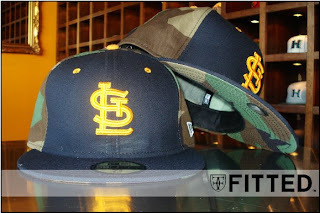 The cap features “green palaka” plaid on all 6 panels with a black denim brim and yellow underside. 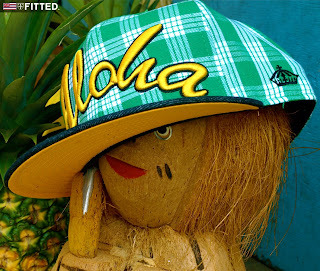 The front 2 panels features the words “Aloha” in yellow, while the back features a FITTED crest hit, right side features the words “Welcome To Honolulu” and the left side features a FITTED crown hit. 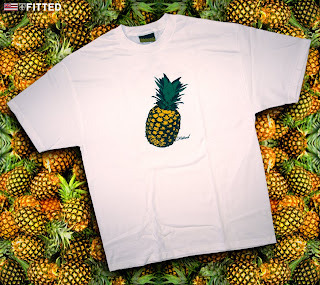 On to the shirt, all white tee with a pineapple sitting on the front. 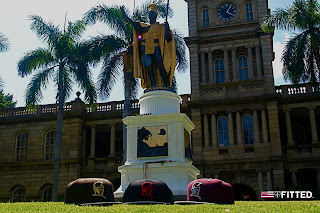 The pineapple also is a huge representation for Hawaii, and has been since the plantation field days. 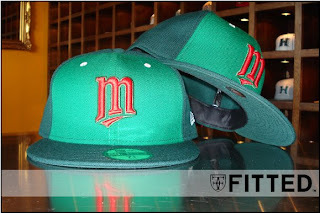 On the back is the FITTED crown with hits of the front graphic throughout. 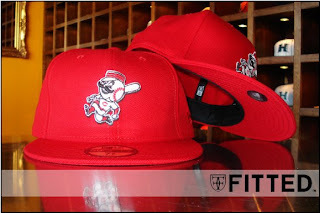 These are limited to 100 pieces for the hat and 80 pieces for the t-shirt. First come first serve. Mahalo again to everyone who came out on Saturday. 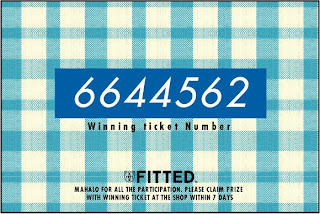 Here are the 2 winning ticket numbers. 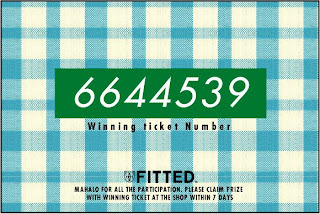 We will keep these numbers for one week, if not claimed then we will pull until we have a winner. Duke Kahanamoku is regarded as the main influence who brought the sport of surfing to the mainstream. Literally growing up on the outskirts of Waikiki, this is where Duke crafted his impeccable skills as a surfer, back then carving surfboards from koa wood which was extremely too heavy for most to move around. This was also way before “skegs” had ever been invented, which proved to be even more difficult to maneuver. To pay tribute to the honorable Duke, we created a shirt in his memory. 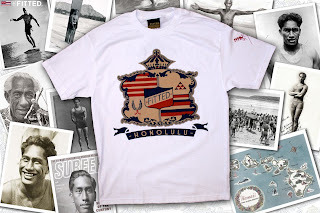 Printed on all white, the front features a graphic inspired by late Duke’s personal 60s surf apparel line, with elements from classic Hawaiian icons using blues and reds with the crown resting right at the top. The back utilizes the same color scheme inside of the crown. In anticipation of this year’s Halloween, Flying Coffin has produced a piece specifically for the Trick Or Treating occasion. The hat comes in all black with an orange button and bill, including an evil looking Jack-O-Lantern face on the front. The back has Flying Coffin stitched in yellow and the inside of the hat includes a satin lining with artwork of the pumpkin guts. Get ya FREAK on. Big mahalo to everyone who came out on Saturday. It was a long line that lasted alot longer then was expected but Everyone was able to get a fare share of the goodies. With shelf space now available we have 8 new customs available for purchase Tomorrow.